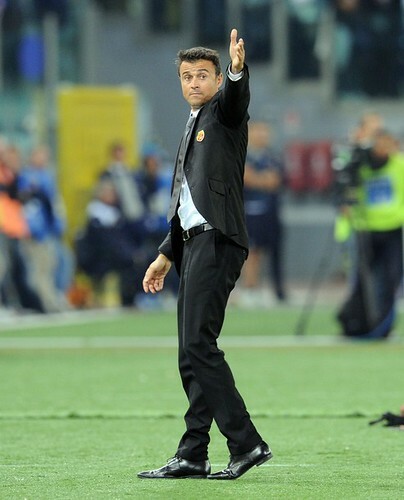 As Roma’s defeat against Fiorentina on Sunday simply added more pressure to the capital club especially new coach, Luis Enrique, who has been receiving many questions even since his early days at the Giallorossi’s bench. Interviewed after the match at Florence, Enrique revealed that he might consider retiring from the club should his side lose again next weekend but that option will only be taken should the players ask for it. The tactician confessed that at the moment he still feels a strong support from his players and also the club, so leaving Rome isn’t an option for Enrique, who has really been given plenty trust so far despite the highly inconsistent results that the club’s having. However, once again the ex-Barcelona B coach stated that if the Giallorossi players publicly admitted their disappointment over his instruction than the former Spain international player won’t hesitate to leave the club at all. “If I feel that the players aren’t following me anymore, then I will leave, but that is not what I see right now. I’m not here to stay gripped to the bench, I don’t like to work for money. I am here because the club has faith in me, but if I see that the players do not follow my lead then I will act accordingly. But you’d have to ask them,” Enrique stated. Aside from the current poor results, another thing that obviously worried the Romanisti would be the lack of discipline that the players having, especially in the last two matches which saw fights between players and plenty red cards flying on the pitch. Those incidents happened when the team were losing against their opponents, which pretty much showed there’s a huge tension along with frustration among the Romans at the moment that simply snapped when a match didn’t go their way. Although Enrique can’t be fully blamed with his players’ attitude in and out of the pitch, the Spaniard should really try to impose himself more especially in giving comfort and calm in the dressing room which can help the team’s mentality on the pitch. Just like the management’s earlier target, this season is merely being set as a transitional mode for the Giallorossi, that’s why on the pitch, the players shouldn’t really feeling too much pressure, which is pretty much visible in the last few matches.